I have three little tidbits of exclusive info and rumours for you. The first one concerns troubled developer Factor 5. I can confirm to you that work on all current projects is continuing. Expect an official announcement within two weeks. Secondly, concerning 'Dead Rising: Chop Till You Drop' and fears of no more than fifteen enemies on screen at any one time, fear not. I have just spoken to someone who has played a current build of the game. While there will not be a hundred zombies on screen, there will be a sufficient amount, I was told. Basically, you can expect a few dozens of them rather than one dozen. This will be a really cool game, I understand. Lastly, I have some reason to believe that Silicon Knights ('Eternal Darkness', 'Too Human') may be working on a Wii title. This is slightly going out on a limb here. But, like I said, I have some reason to believe so. Good to hear that Factor 5's projects are still going on, they are a talented group. Also it's good to hear capcom is putting effort into the Dead rising wii game. about the Silicon knights i'm hoping for eternal darkness 2. Also do you know anything new about Sadness? Is it still planned for this fall? I have an interesting and important question. First of all I am from Germany/Heidelberg, but I think you always wanted us to write in English. Some days ago, a video from Star Wars Battlefront 3 was leaked. At the end of the video you can see that it was developed for ps3 xbox wii and pc. But there are rumours that this (very great) game will never get finished, because free radical has closed. If an new developer makes BW3, will they continue the work from Free Radical or not? Would be nice if you figure s.th. out! Excellent news about Factor 5.. What ever games they're making, I hate to see a developer with such talent go under..
With the other more SK news how far out on a limb are we talking here? Job postings, budgeting figures, patent applications, release scheduals, middleware being bought, Wii dev kits at their studios? I guess you can't devulge that information :P but perhaps give us a clue? Or when you expect the project to go public i.e. how far along it may be? Hey Falafelkid it's me IALS, you know who this is. nice one for that mate! !,,,,nuff respect! I'm not a kraut so I can't make any sense of it. 2 things. Falafel, IALS, etc...etc..
Yoshinori Kawano (Dead Rising Producer) had an interview once where he spoke of making a game where there were thousands and thousands of zombies. That was the core idea of his. The original version succeeds in doing that. My impression that his vision was to have a game with a million zombies in it. So to say that the having less zombies doesn't matter when it goes against the creators original vision well......Sounds like Capcom is capitalizing on wii and making a crappy port. I reserve judgement till ive played it but it doesnt sound good. The directors original vision has been altered. Having less zombies IS A BIG DEAL. Because it's changing the core concept of the game. Imagine MarioKart with 1/2 of the tracks and characters? 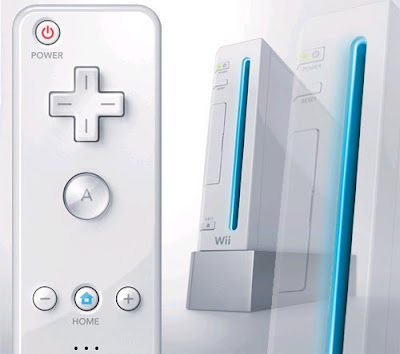 Is that what DEAD RISING WII will be? I'd love to see an interview with Capcom aboout Dead Rising wii. And see what their reason is for making a potentially inferior port. 2.Is Factor 5 making Kid Icarus or not? And is Nintendo throwing the company a life line? Matt from IGN says so. PS-.Im on day 12 of wii fit. I feel like a million dollars. Im standing up so straight with the least amount of effort. Can't wait to play it tommorow. 16.01.09 - Capcom zeigt 15 Bilder zum Actionspiel Monster Hunter 3, das 2009 in Japan in die Läden kommt. CLICK PICTURE (15 x Monster Hunter 3"
it's under the friday updates: "Freitag, 16.01.09"
I'm sure you'll find it mate. So you state that Factor 5 is currently working on all current projects, well where do you get your information? As a former employee I know for a fact that there is no way they could be working on the "current" projects, because there is not enough staff to do so. So where do you get your information? I was employed with F5 until December of 2008, and guess what, so was the rest of the staff! So please feel free to let me know who took all of our places in good old San Rafael! Oh and I know there were only 3 guys in Germany! If you’re looking for something to brighten up your dull day or put away your doldrums, then what you might need is a little touch from Dolce & Gabbana. Perhaps you can go out with your friends and have a party while on this Dolce & Gabbana “Northern” Peep-Toe Shoes. with raccoon fur lined hood is the perfect choice for a stylish transition into the cooler months. complete the look with these mih jeans, crumpet jumper, marc jacobs bag and belstaff boots. Opt for this practical blue MONCLER MAYA grenoble for all your aw10 needs. with a buttoned funnel neck and thumbhole sleeves it?ll ensure you keep out the cold in style. work a chic day time look by wearing with a u t-shirt, helmut lang leggings, burberry brit boots and a balenciaga bag. Long sleeved black padded jacket from Moncler men jackets Gamme Rouge with a funnel neck and a zip-through fastening. Please note that for this brand our size conversion chart does not apply. Moncler items are sized one size smaller than our chart displays. All of these promotional products, trade show giveaways and items can be written off as marketing expenses and make promotional gifts for any promotional novelty, whether it be formal, informal -- whether your clients are down the street, across the country or even around the world. Buy D3 Goldworn the extender along with he has enrolled through these people and has bought all the most up-to-date brands to the Wii console. AnybodyBuy GW2 Gold else make it happen video games from online?